The award-winning T-1 is the foundation of the RBH T System. Four 6½-inch aluminum cone woofers and three liquid-cooled silk dome tweeters come together in a dispersion-averaging alignment for the ultimate in sound quality and performance. The T-1’s driver configuration focuses the sound at the listening position for incredible imaging. 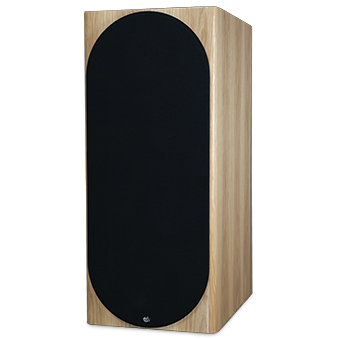 The T-1 comes in mirror-image pairs and can be used as freestanding speaker, custom installed into a cabinet, or purchased as a package with one or two subwoofers in a T-2 or T-3 configuration. Shown here in pecan veneer, and is only available in custom veneers. 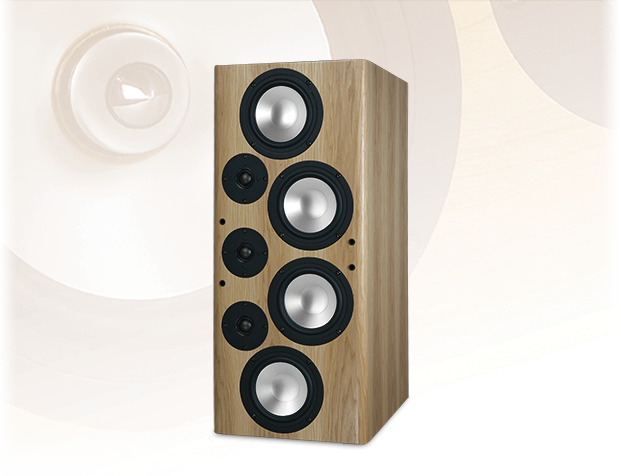 For all Signature Classic Series Speakers click here. Modular Loudspeaker (sold either as each or by pairs, below are examples of pairs). 2 each of T-1 or T-1/R plus two 1010-SEN or 1010-SEN/R. 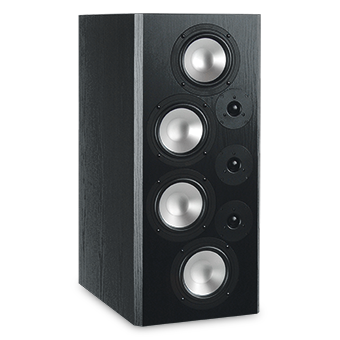 2 each of T-1 or T-1/R plus two 1010-SEN or 1010-SEN/R and 2 each SA-500DSP. 2 each of T-1 or T-1/R plus four 1010-SEN or 1010-SEN/R. 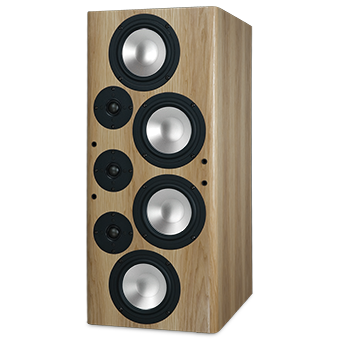 2 each of T-1 or T-1/R plus four 1010-SEN or 1010-SEN/R and 4 each SA-500DSP. *T-2N, T-2P, T-3N and T-3P models include braces and base feet with hardware.